An order of Botot arrived the other day. We were having some troubles getting this in the past, so it is lovely seeing our shelves restocked with this classic. Invented in 1755 by Dr. Julien Botot for King Louis XV of France, it is the world’s first toothpaste. The fantastic ginger & anise flavor make for a tasty brushing experience. 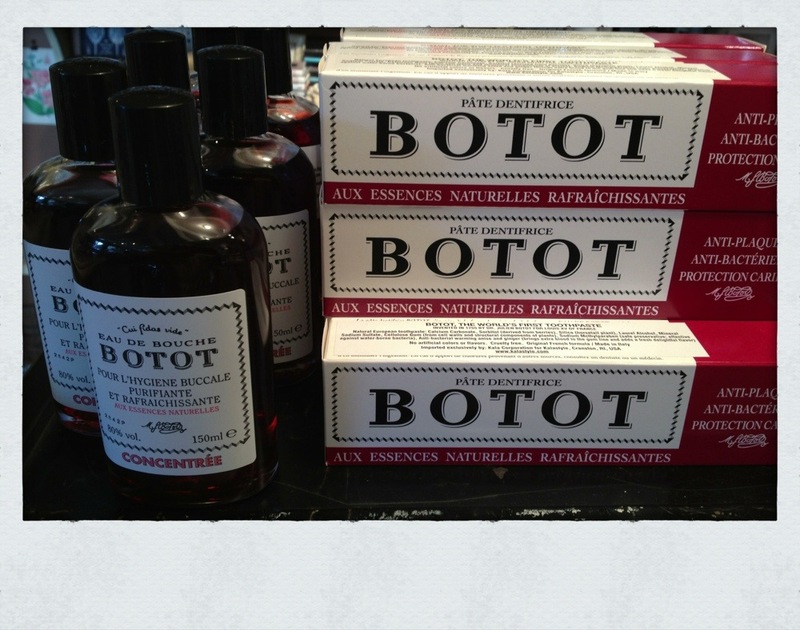 Also freshly stocked is the mouthwash, that Dr. Botot created the same year. Only a few drops of this added to warm water for gargling will do the trick. The natural gillyflower, which is from the clove family, is what flavors this mouthwash elixir.